Here are a few recommendations of books you might enjoy. These are all books that I actually read and actually enjoyed reading. If you decide to buy one of these books, PLEASE use one of these links or visit my Amazon page, which earns me a little commission. You get a book and I get a dollar. Everybody wins! But first...how about buying my new book? 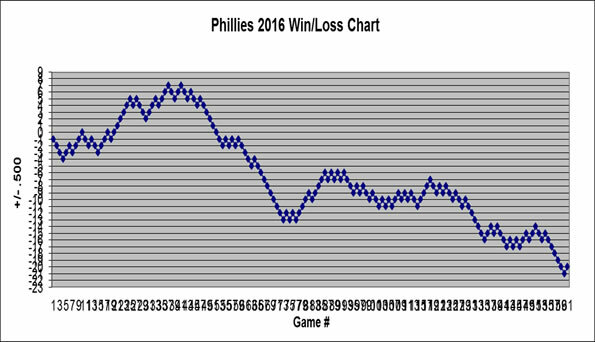 So You Think You’re a Philadelphia Phillies Fan? is the title, and unlike most trivia books, it’s more of a story book than it is trivia, with 120 questions based more on the answers than the questions. The official release date is June 6, and you can pre-order books on Amazon now. There's a lot of neat stories and I hope you enjoy reading it as much as I did writing it. Scott's comments: In typical Wheels style, this is a fun book with lots of great stories. What fascinated me the most was how a kid who never played baseball beyond high school created a 30+ career as a broadcaster. And for anyone who is a Chris Wheeler fan like myself, be sure to read the article I wrote after an interview in Clearwater. Scott's comments: If you are interested in what life is like in the minors, you have to read this book from Eric Pettis, a former minor leaguer from the Phillies organization. I really, really enjoyed this book, especially since it involves the Phillies. It is only available on a Kindle, but I definitely suggest reading it if you can. Scott's comments: If you are interested in the history of the Phillies, this is a must read. It is a big, bulky book and it is more pricey than typical books, but this is the ONLY book to buy if you want to learn everything about the Phillies. It goes year by year, chronicling every season of Phillies baseball in addition to player, manager, and front office profiles, a history of the ballparks, and lots more. Scott's comments: Larry Shenk is a Phillies legend in my mind. He has seen just about everything in his 50 years with the Phillies and has personal insight into a ton of Phillies players. I also really enjoyed the section with quotes from Phillies players with their thoughts on Spring Training. Scott's comments: If you want to learn what it takes to be a great hitter, I can't imagine there is a better book out there than this one from Ted Williams. If the mechanics and psychology behind hitting interests you, definitely get this book. It's also fun to learn just how cocky Ted Williams was as a player. It's not exactly an entertaining read, but you will learn a lot. Scott's comments: This was the book Roy Halladay swore by. If you are interested in learning the psychology behind pitching and a handbook written for players aspiring to be a big league pitcher, you will enjoy this book. But if you are just a casual baseball fan, don't get it because you will be bored within the first few pages. But if you only want to buy one nerdy baseball book from this list, I would buy the Ted Williams one.